Explore the Practitioner Toolkits that include practical and visual tools for BANT Practitioners to communicate a variety of nutritional and lifestyle topics. 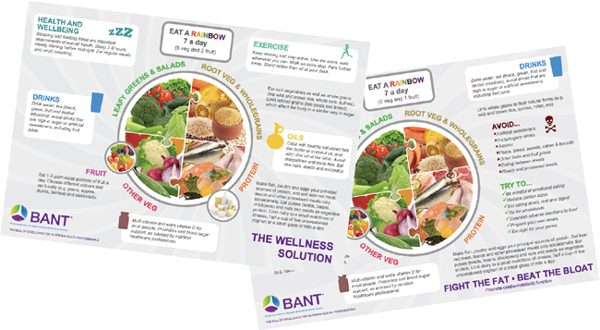 General Health Toolkit is also available to public with BANT Wellbeing Guidelines and Why do we need to eat? 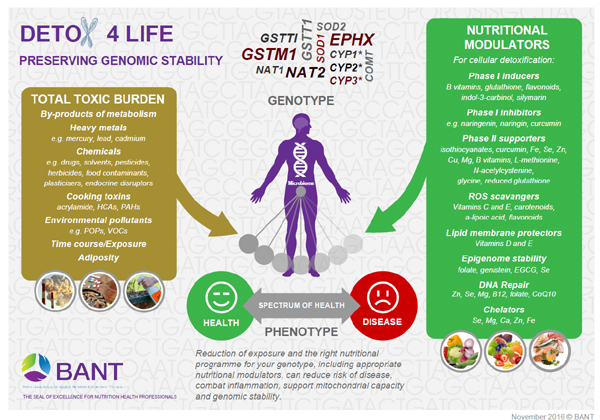 infographic, while the Consultation Toolkit provides the practitioners additional materials for their consultation, including the latest Detox4Life infographic, – currently in preview stages. 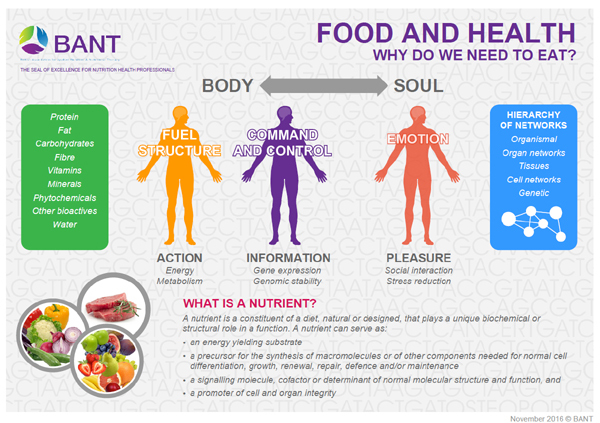 The already familiar Nutritional Therapy Practice Posters further explain the nutritional therapy approach and are also available to public under About Nutritional Therapy. We are writing to let you know about an exciting development coming in 2017 for BANT and more importantly, BANT volunteers! To coincide with volunteers week 2017 we will be hosting our first ever volunteer networking and celebration event. The aim is to bring our volunteers together to celebrate their achievements from the past 12 months and congratulate those who have gone above and beyond the call of duty. Not only this, but the event is a valuable opportunity for us to involve volunteers with BANT’s strategy and plans and have the opportunity to network. We all know how the many detox articles will hit the media soon after Christmas celebrations have finished and similarly we know how BANT Practitioners harness detoxification as a biochemical process that takes place within every cell in our body, all year round, rather than just as a quick–fix detox diet. BANT will release early preview of the Detox4Life info graphic tomorrow via Twitter, with the full public launch on 5th of January with aim to gain some national media coverage. In this extended issue there are details on a free BANT webinar focusing on skills for future practice, we highlight a useful blog by the University of the West of London and an unusual but delicious way of cooking Brussels sprouts. Also, a reminder that BANT student memberships expires at the end of the year. You’re invited to our next BANT Student Network Webinar with Joy Skipper, ‘Beyond Nutritional Therapy’ on Tuesday 24th January from 7.00-8.00 pm. The webinar is free and exclusive to BANT student members! Click here to book your place or e-mail Alma or Becky at studentwebinars@bant.org.uk by Tuesday 17th of January. Studying for your degree or diploma is the first step towards a new career, and the hard work doesn’t stop there. The next step is finding your niche, and finding work! In Joy’s experience, most Nutritional Therapists have a second string to their bow – something else that supports their new knowledge. For Joy it was a history of working with food and competing internationally in sports – with these contacts she could spread her wings and diversify into other areas that included nutrition. If you don’t have your ‘niche’ yet and need some ideas to find it, this webinar aims to show you how to think outside of the box, and have fun whilst finding new clients. There will be a chance to ask questions at the end of the webinar. Visit this page if you would like to ask Joy any questions prior to the webinar. Recordings of previous student webinars are here on the Student Member section of the BANT website. This blog, set up earlier this year, is a useful platform for students to discuss and reflect on food and nutrition, health and wellbeing. Already there are posts ranging from summaries of recent symposiums, discussions about topical health issues such as orthorexia, general diets and specific nutrients. The posts are written by students and lecturers. So do keep your eye on this helpful resource. We are all enjoying the humble sprout now that they are in season, knowing, as we do, how supportive they can be for our health. Especially as we indulge in the run up to Christmas. Here is a delicious and unusual method for preparing them. Melt the oil or ghee in a wide, thick-bottomed pan that has a lid, over a low heat. Add the garlic and ginger and warm through gently. After two minutes, tip in the sprouts, shake them about and stir them so they are covered with the garlicky, gingery mixture, splash in some water (a tablespoon or two), and cook for about 5-10 minutes with the lid on – you want them al dente. Timings will vary according to the size and pan used. Do check them because the last thing you want is over done sprouts. They should give on the outside but have a firm centre when you stick in the point of a knife. Pour over the tamari, sprinkle over a little sesame oil and the coriander, and serve. BANT student membership runs out on 31st December 2016, in just under two weeks. Don’t forget that as a BANT student member we get FREE access to the invaluable Natural Medicines Database (normally $299), access to excellent member and student webinars (as above), CAM magazine at a lower subscription rate, reductions on tests, and more. Click here to see the list in full. An email will be sent out on 1st January 2017 with instructions on how to renew – so do look out for it! Welcome to the December issue of BANT ENews, this month’s focus is on meditation, something nutritional therapists often recommend their client’s suffering from chronic stress. Our ‘Day in the Life of a BANT Manager’ follows Kate Alexander, our assistant manager. Our PPC feature focuses on lone working, something that many practitioners experience on a daily basis. The end of the year means that it is almost time for membership renewal and BANT Enews highlights the many benefits BANT membership has to offer. We wish you all a happy festive season! See you for another exciting year of nutritional therapy in 2017! Access the BANT news here. year means that it is almost time for membership renewal and BANT Enews highlights the many benefits BANT membership has to offer. We wish you all a happy festive season! See you for another exciting year of nutritional therapy in 2017! I believe it is safe to say that there hasn’t been a year like 2016 for BANT in its whole history. We finished 2015 by launching our public consultation on the Curriculum Framework for Functional Dietetics Practice to meet the registration standards of the Health & Care Professions Council (HCPC), which went on to receive answers by the British Dietetic Association, the Nutrition Society and the Association for Nutrition. BANT is continuing to liaise with these organisations, and with the HCPC, and 2017 promises to be the year that the first course in Functional Dietetics will be taking registrations. We are delighted to inform you that BANT’s Annual General Meeting will take place on Saturday March 18th 2017 at the Cavendish Conference Centre, 22 Duchess Mews, London W1G 9DT from 9.30am. We have a packed agenda reporting on some exciting developments over the year and plans to further promote the standing of Registered Nutritional Therapists in 2017. In this issue we look at suggested affects of energy drinks on teenagers, a study on the power of broccoli and an experience of BANT local network meeting. Could energy drinks be impacting teenagers? I looked up my BANT local network meeting group after the student webinar on the subject back in October, which you can see here. I went along to my first local network meeting last week, it was great to meet other BANT members in my area, hear what people were doing and be involved in planning future meetings. It was great to connect with local nutritional therapist and gave me some ideas for the future, well worth it! As we near the end of 2016 it is time to think about renewing your BANT membership. Your current membership expires on 31st December 2016 with the new membership starting on 1st January 2017.